I made this quilt for my brother Allan, who is fighting throat cancer, I thought it might give him some comfort when those horrid cancer treatments have him feeling like doing nothing else but curling up on the couch. 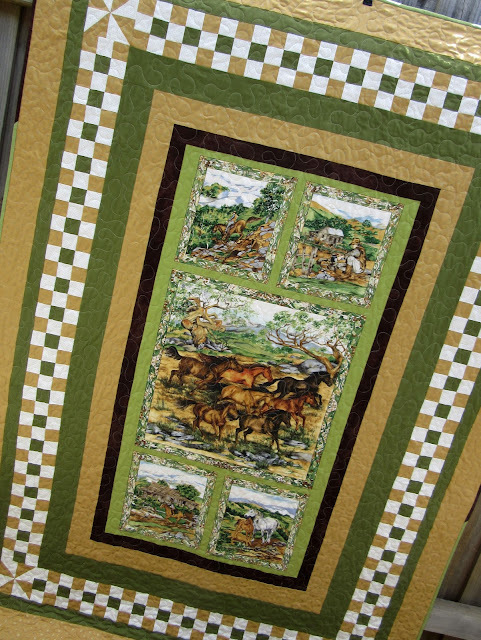 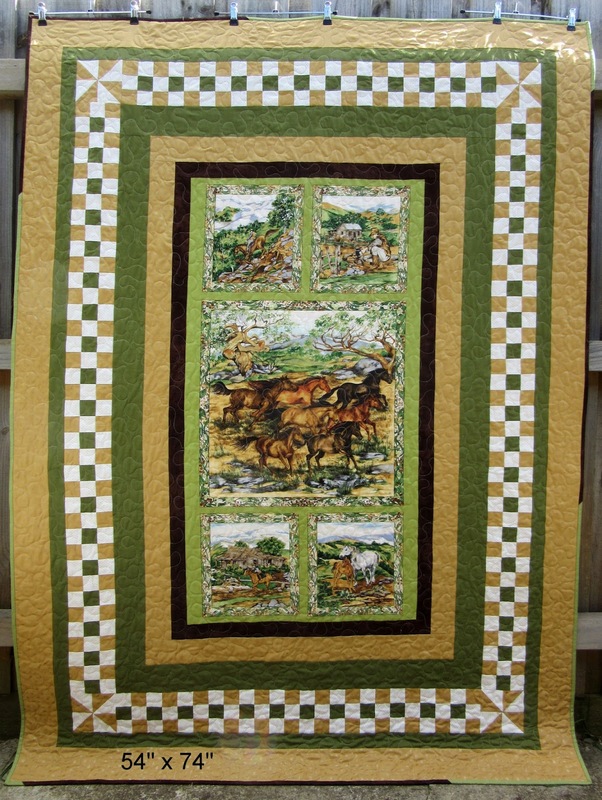 I ordered the Man From Snowy River (his favourite movie), fabric panel online and when it came, I just kept adding borders until I felt it was large enough to snuggle under. 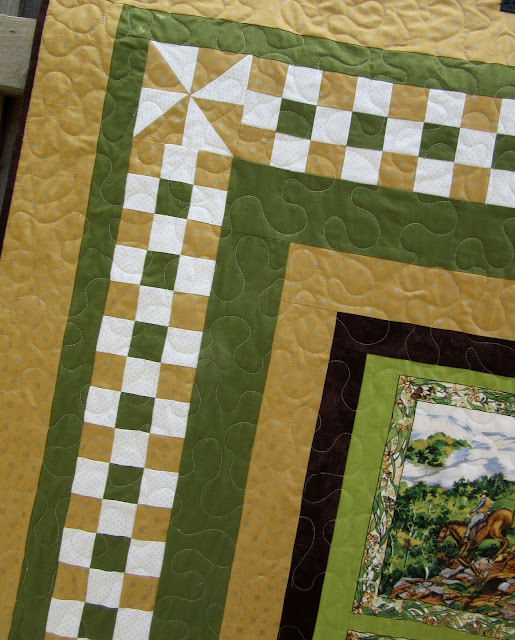 I quilted it with a large stipple design, I wanted the quilt to stay soft and comfy. 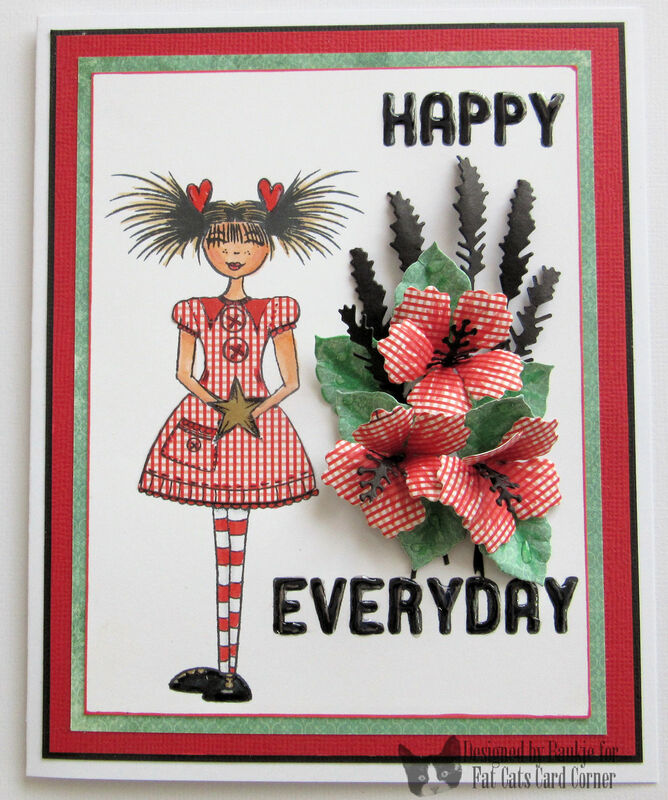 I have two more cards to share that I made for Kaaren at Fat Cats Card Corner. I've used the leonie Pujol Rag Doll Stamp set to do some copic colouring, paper piecing and added glossy accents to the hearts in her hair, her patent leather shoes lol, the star in her hands and the Happy Everything. 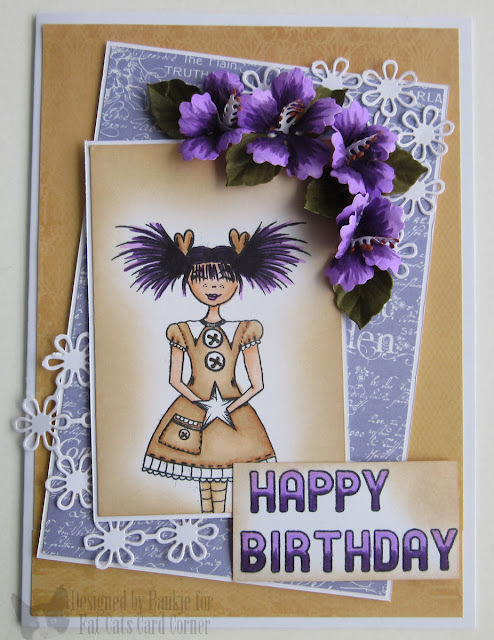 I also used the Sue Wilson-Tropical Hibiscus die set and the Memory Box/Poppy stamps lavender Stems left Corner Die.